The water coming out of your kitchen tap is four billion years old and might well have been sipped by a Tyrannosaurus rex. Rather than only three states of water—liquid, ice, and vapor—there is a fourth, “molecular water,” fused into rock 400 miles deep in the Earth, and that’s where most of the planet’s water is found. Unlike most precious resources, water cannot be used up; it can always be made clean enough again to drink—indeed, water can be made so clean that it’s toxic. Water is the most vital substance in our lives but also more amazing and mysterious than we appreciate. As Charles Fishman brings vibrantly to life in this surprising and mind-changing narrative, water runs our world in a host of awe-inspiring ways, yet we take it completely for granted. But the era of easy water is over. Bringing readers on a lively and fascinating journey—from the wet moons of Saturn to the water-obsessed hotels of Las Vegas, where dolphins swim in the desert, and from a rice farm in the parched Australian outback to a high-tech IBM plant that makes an exotic breed of pure water found nowhere in nature—Fishman vividly shows that we’ve already left behind a century-long golden age when water was thoughtlessly abundant, free, and safe and entered a new era of high-stakes water. In 2008, Atlanta came within ninety days of running entirely out of clean water. California is in a desperate battle to hold off a water catastrophe. And in the last five years Australia nearly ran out of water—and had to scramble to reinvent the country’s entire water system. 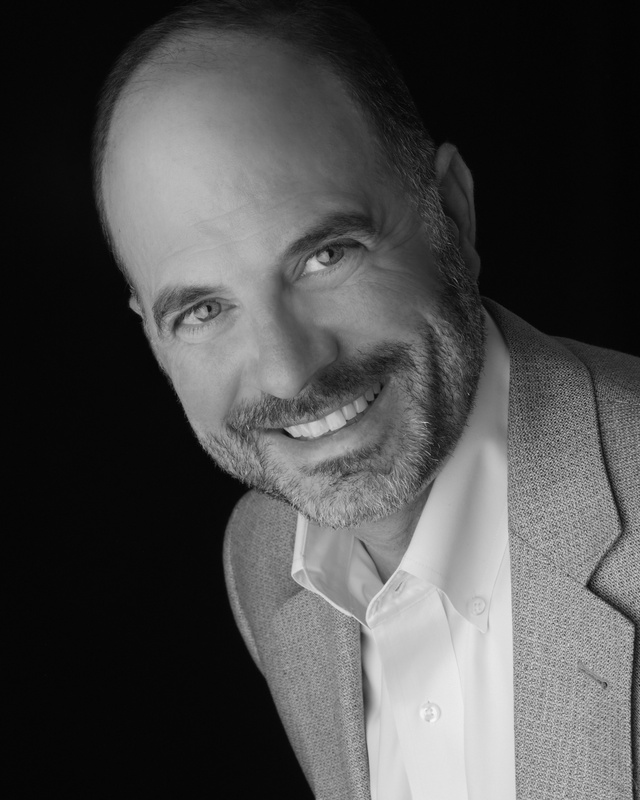 But as dramatic as the challenges are, the deeper truth Fishman reveals is that there is no good reason for us to be overtaken by a global water crisis. We have more than enough water. We just don’t think about it, or use it, smartly. The Big Thirst brilliantly explores our strange and complex relationship to water. We delight in watching waves roll in from the ocean; we take great comfort from sliding into a hot bath; and we will pay a thousand times the price of tap water to drink our preferred brand of the bottled version. We love water—but at the moment, we don’t appreciate it or respect it. Just as we’ve begun to reimagine our relationship to food, a change that is driving the growth of the organic and local food movements, we must also rethink how we approach and use water. The good news is that we can. As Fishman shows, a host of advances are under way, from the simplicity of harvesting rainwater to the brilliant innovations devised by companies such as IBM, GE, and Royal Caribbean that are making impressive breakthroughs in water productivity. Knowing what to do is not the problem. Ultimately, the hardest part is changing our water consciousness. As Charles Fishman writes, “Many civilizations have been crippled or destroyed by an inability to understand water or manage it. We have a huge advantage over the generations of people who have come before us, because we can understand water and we can use it smartly.” The Big Thirst will forever change the way we think about water, about our essential relationship to it, and about the creativity we can bring to ensuring that we’ll always have plenty of it. This reading group guide for The Big Thirst includes discussion questions and ideas for enhancing your book club. The suggested questions are intended to help your reading group find new and interesting angles and topics for your discussion. We hope that these ideas will enrich your conversation and increase your enjoyment of the book. 1. The Big Thirst describes a whole range of qualities of water—from the way it feels to us, and the impact it has on us emotionally, to the unusual and surprising ways companies and farmers use it, to the work and complexity necessary to get our water to us. What did you learn about water, or about how human beings use water, that surprised you most? 2. The Big Thirst devotes a lot of space to describing water’s molecular and chemical nature and its “hidden” impact—water is what makes your microwave oven work, water is what allows the continents to move and the space shuttle to be launched, water is the only substance we use routinely that was delivered from space in exactly the form it’s still in. What’s the point of all this? Does knowing the backstory of water help you understand more practical water issues? Why do you think Charles Fishman decided it was important to write about water in this way, as if water were a character in the book? 3. Many places in the U.S. and the developed world facing water scarcity could solve their water problems by building either a seawater-desalination plant or a plant to clean and sanitize wastewater and return it to the drinking-water supply. Imagine that you are an elected official having to choose between these two solutions. Which would you choose? How would you go about researching and making the choice? Would you put aside your own research and decision if your constituents strongly objected to one source of water or the other? Do you think you would be able to persuade skeptical citizens that reuse water is safe?Why do Americans somehow think that drinking cleaned- up seawater is more palatable than drinking cleaned-up city wastewater? 4. 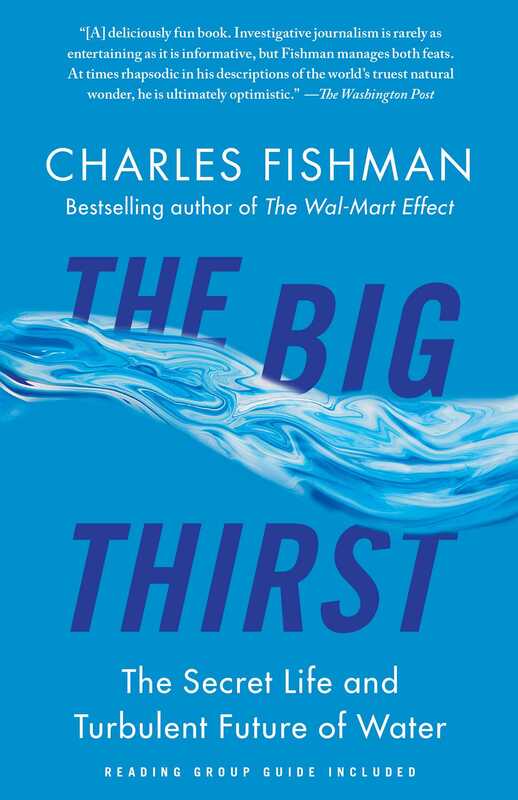 Since the hardcover edition of The Big Thirst was written, the drought in Australia that Fishman wrote about has ended dramatically, with so much rainfall that Australia went directly from drought to flooding. Most parts of Australia that were in crisis two years ago now have enough water again. Does that change the lessons from Australia’s struggle to remake its society to rely on less water— for Australia? for the rest of the world? 5. Throughout The Big Thirst, Fishman returns to the idea that water is too inexpensive. At one point, he writes, “If you had to pick one thing to fix about water, one thing that would help you fix everything else—scarcity, unequal distribution, misuse, waste, skewed priorities, resistance to reuse, shortsighted exploitation of natural resources—that one thing is price. The right price changes how we see everything else about water.” (p. 29) Do you agree? If water should be priced more fairly, how would you go about doing that? What would you do with the fresh revenue from more expensive water? Is there a way of increasing the price of water without hurting poor people, without increasing the price of every product that relies on water? 6. One of the most important “sources” of water is conservation. If cities can teach their residents, and their corporate customers, to use less water, they can create the ability to add more residents and more economic activity without having to add more water. One place that has done this dramatically is Las Vegas. But Las Vegas also has very strict water rules—the city regulates everything from the kind of hose nozzle you can use to wash your car to whether or not you can have a front lawn. Would you be comfortable living with these kinds of water rules? Would they make sense in your community, even if it isn’t as dry as Las Vegas? Did the set of rules and practices that Las Vegas imposed to change water habits inspire any ideas for a different set of wateruse rules in your own community? 7. Many people visit a place like Las Vegas—all those golf courses and resorts and subdivisions in the desert—and simply think, “There shouldn’t be a city here. This is kind of crazy. Why don’t they do a better job of limiting growth?" And some conservationists and water policy experts think water officials in a dry community should shape public policies that use water limits to slow or stop growth. Should the availability of water be a factor in determining how fast a community should grow or how big a city should be?If a city wanted to use water scarcity as a tool to help manage growth, what kinds of rules and laws would it write? 8. Plenty of places in the U.S., and around the world, have ample water resources. Is there any value in “conserving” water, or creating water awareness, in communities that have abundant water? How would you make the case for smart water use to citizens in a community where the water supply itself isn’t under any pressure? Are there other issues besides simple availability that ordinary people should be paying attention to? 9. As you were reading The Big Thirst, did you find yourself thinking about water differently as you went about your day-to-day tasks? In what ways? Fishman says in The Big Thirst that simply paying attention to water changes your attitude and behavior. Have you found that?